Are you all familiar with The Ribbon Retreat? For several years, they’ve been THE place to go for ribbon and hair bow making supplies, (including tons of great free projects). You can buy lengths of individual ribbons, or they sell convenience packs, like this assortment of polka dot ribbons. Man, I love me some polka dots. And ribbon mixes, where they’ve already done the mixing and matching for you. Love Gymboree and matching bows? They take care of that matching for you, too! There’s a color guide or 10 yard mixes all ready to go. But here’s the really big exciting part (at least to my dorky sew-er self)…. NOW THEY HAVE FABRIC AND NOTIONS! A chance to win a $50 gift certificate to The Ribbon Retreat, good for ANYTHING they carry! 1) Click on over to The Ribbon Retreat and browse through their ribbon selection. Come back and leave a comment with your favorite ribbon. Ribbons are easily accessible from their home page. 2) Click on over to The Ribbon Retreat and browse through their fabric selection. Come back and leave a comment with your favorite fabric. Fabrics are here. 3) Click on over to The Ribbon Retreat on Facebook and “Like” them (formerly known as becoming a fan of). Come back here and leave a comment telling me that you did. So, you can enter up to 3 times. YOU MUST LEAVE A SEPARATE COMMENT FOR EACH ENTRY! Giveaway closes Friday night at midnight MST. Not feeling especially lucky but still in need of some ribbon and/or fabric? I like the multi-coloured peace sign ribbon. Since I am a child of the 60's, I have a real fondness for peace signs! I like the Kiwi fabric from Timeless Treasures. I've all of a sudden developed this love of the colour green and the green with black and white looks great together. I LOVE the chocolate brown moonstitch ribbon with pink trim! I've never seen this ribbon before! I love the Summersong Sweet Songbird fabric. Wow, so hard to choose! Riley Blake's "Wheels" is such a fun boys fabric. I love Meadowsweet by Sandi Henderson–it's always a favorite! I became a fan. Thanks! Just can't beat a polka dot ribbon. Any color. The Del Hi fabric is gorgeous. Great find – thanks! I love the peace sign ribbon best, but it's got serious competition from every single color of polka dot! Well I can always use solid 1.5", but for something different, I love the Rock N Roll ribbon. I "liked" The Ribbon Retreat on Facebook. I love the Orchid Feeling Groovy fabric by Michael Miller. Fabulous store! I love the red and white gingham ribbon the most. Thanks for the great giveaway! I love the Chocolate Cafe line of fabric. Thanks! Love the Pink Malibu fabric! The Lollipop ribbon is very pretty. Seriously, it is soooo hard to choose! On the fabric – it would either have to be the Sandi Henderson Meadowsweet or Heather Bailey's Pop Garden – yummy! Love the Michael Miller Plain Jane Fucshia!! I like the pink and brown gingham ribbon, but picking a favorite ribbon is like picking a favorite child! I like the Tweet Tweet fabric. I LOVE the preppy groisgrain pack! Stripes, baby! Lovin' the cute Robots ribbon in the printed ribbon section! Too cute! The butterflies have it! Flutter by Alison Jane Smith. I came. I saw. I liked. I love the April Klein ribbons–especially "Honk Honk." I make cards, and I can never find cute boyish ribbons. So many wonderful fabrics! My favorite is Michael Miller's Dino Dudes–perfect for my little boy! I love the printed ribbon that is part of the Spring Fling ribbon mix. I love the Summersong collection by Riley Blake Designs. I would do one of the grab bags for ribbon…they're all cute so I'd be glad to be surprised! Love all the April Klein Ribbons-especially the Little Stinker one! THe Kiwi fabric is sooo cute! I love the double ruffle ribbon. It's so hard to find. I like the ribbon retreat on fb! I LOVE the printed II 1 2/2" convenience pack!! The moda fabric is super cute! I love the moonstitch ribbon! The ivy trellis fabric combo is a beaut. However, I didn't look thru all the fabric! There was a lot…and so many cute! I love the Split Pea ribbon — pink and green are my favorites! I liked the Ribbon Retreat on Facebook! I like the Preppy Convenience pack ribbon 3/8"
I like the Plain Jane Fuscha collection for fabric — but there are a lot of fun ones there! I love the train grosgrain…would make such a cute boutique bow!! Ok — liked it on Facebook too — love this site! I'm totally partial to Heather Bailey Pop Garden. The colors!! They have some beautiful printed ribbons… but the ones I always go for when I'm making bows are the stitched saddle ones. I love them! My favorite fabric is the Rainy Days collection from Riley Blake. I have been looking for that for a while with no luck! I just 'liked' them, too. i like the mod print and paisley ribbons! so fun and colorful! i like the wine paradise garden & brown large bloom fabrics. Riley Blake's Ivy Trellis is lovely. I love polka dots soooo the convenience pack of Swiss Dots would keep me happy. Ok, how am I supposed to choose a favorite ribbon??? I would love a huge assortment of all sorts of grosgrain. I love the Ribbon Mixes- the Fun in the Sun and Disco Waves to just name a few. Love the Bloom & Grow Brown collection! wow–who knew there were so many types of ribbon??? I loved the flip flops–so summery!! I now "Like" them on Facebook! All those lucious gingham ribbons – seriously! Are you kidding me??? I really love the Kiwi fabric from Timeless Treasures – love that pop of green! I like the Summersong fabric! I am so glad you added the "formerly becoming a fan of…" I thought I was going crazy and was searching and searching for it! I love the Garden Friends ribbon set. I am a fan or "liked" on fb. I've "liked" The Ribbon Retreat on facebook for several weeks ago. What a happy little stumble the day i discovered them! i LOVE the gray and black houndstooth ribbon. love. I love the Jolly Stripes ribbons. The colors are so cute! BTW Thanks for the great giveaway! Love the California Dreamin fabric. I have been eyeing that up for weeks now. Oh and I "liked" them o facebook too. How could I not! there is something so whimsical about Fuchsia Wishing Flowers fabric. love it. Love all the polka dots! What a great variety of colors!! Love the tweet tweet collection!! I like the double ruffle pink ribbon. So cute! I love the champaine dots ribbon. I, too, am a fan of POLKA DOTS!!!!! I love the Michael Miller dino dudes line as well as the kids & fun. I can't wait to find a project to use these for. I really like the Moonstitch ribbon, especially in turquoise and lemongrass. Sugar Tweedle Dum in the Wonderland by Momo line. I love the April Klein ribbons. Especially the tea party and monkey see. My favorite fabric is Rainy Days and Mondays. I liked them on facebook. Hooray! My favorite ribbon is the flamingoes. My favorite fabric is the Rainy Days and Mondays set from Riley Blake. I wanna win! Saddle stitch ribbon. So cute and dainty. Just what a mom of two boys needs. Not. Dino Dudes fabric. Just what a mom of two boys needs. Really! My favorite fabric is Urban Angel Grey Colage. I love the moon stitch!!! So cute! I love the strawberry patch mix. I hope I win!! I love the cream apple print from Apple. It would be perfect for a vintage/fall dress! The printed II convenience pack is great! Their fabric page isn't loading. I'll have to look again later. But I really like that Michael Miller print on your post. i love love love love the tuile ribbons, and the classic ivory with red makes me so happy! i might have to order some just to have. as for the fabric, anything momo does for moda is so amazing. i pick grass outdoors from the freebird collection. thanks for pointing this place out! It's so hard to choose just 1 favorite! The printed ladybugs though are adorable! The Riley Blake Wheels fabric is PERFECT for a project I've wanted to do for my sons room! I love the double sided preppy dots!! My favorite is Michale Millers Orchid spa! I like the convenience packs of ribbon-the preppy is fun. Tweet Tweet by Keiki is one of my favorites! Love the polka dots!! Being that were sisters it is only fitting that we would love the same thing. And for the fabric…love, love, love, California dreaming! Lucky entry #3 I am now a fan/like on facebook. Oh, and I "like" crap I've made on Facebook too, that should be worth another entry right?? as for fabric, i'm always a sucker for amy butler's daisy chain! I love the Cars printed ribbon. What a great selection! My favorite fabrics are the Wonderland by Momo line. I'm always drawn to them when searching for something new! Love the robots ribbon. It's always hard to find cute ribbon to use for projects for my son. Love the Amy Butler Forest Dandelion Field. Reminds me of my daughter. I like the owls printed ribbon! That was so fun to browse! My favorite is the ladybugs, oh so cute! I like 'rainy days and mondays'! My favorite fabric is from Riley Blake Designs: Andrea Victoria. <3 Paradise Garden is my favorite fabric! Michael Miller Dino dudes fabric..too cute! the rockn roll ribbon is so cute! I like the double ruffle ribbons. I envision sewing them down the middle around the bottom of some simple little girl skirts. I wonder if that would work? I have 'liked' their FB page. Yippee, I love getting sale updates and info on FB for places I like to shop! I really like the Flutter fabric by Allison Jane Smith. I have saved my daughter receiving blankets in the hopes of backing a quilt for her with them. (I love quilts backed in flannel)! I think these colors would work well. While I don't mind my boy wearing pink, it is refreshing to see robot, car and farm animal ribbons. I love any and all of their more boy-ey ribbons! I really love the Social Butterfly Pattern on the printed ribbon! I've "liked" The Ribbon Retreat on Facebook. For fabric I love the apple collection by Alice Kennedy. I'd love to make an apron out of it! I like the Robot ribbon – would really make a cute boy's hat decoration. I like the Summersong Pink Songbird fabric. SO cute!! I love the Blue Paisley from the Nantucket selection made by Studio E Fabrics! The Daisy Chain is GOR-GEOUS!!! My mind is working overtime with ideas to make with that fabric! I'm a Fan now, too! I love Heather Bailey's Pop Garden! The little robot ribbon is adorable! I like the daisy chain or woodland delight fabric. I also like the modprint ribbon. I love the LoveBug April Klein ribbon! So cute!!! Love the California Dreamin' fabric! It's adorable! I have so many projects in mind for it!!! I love the white/black houndstooth ribbon! Such an amazing site! I love Amy Butler's Love in Tangerine Sandlewood! So cute! Oh my… the toile ribbon is a dream! I'd love to get some! And my favorite fabric is the chocolate mugs by Timeless Treasures. I lOVE the solid sheer ribbon! The apple green is especially beautiful! The Rainy Days and Mondays fabric by Riley Blake Designs is so cute!! What a great website! I "Like" the Ribbon Retreat on Facebook. I like all the ribbon:) but if I had to choose a favorite it would be the pink ribbon with the skulls…. So many cute ribbons to choose from, but I love the "animal crackers" ribbon! I love the fashion dots! The Orchid Spa fabric by Michael Miller really caught my eye! Favorite ribbon: the zebra print!!! Favorite fabric: The Andrea Victoria (purple stuff) wowsers! The Moonstitch ribbon in apple green is darling! I like the Green Leaves from the Apple by Alice Kennedy line. I "liked" the Ribbon Retreat! My favorite fabric is the Moda Cherry Circles in the Tweet Tweet line – so cute!! I "liked" the page! on facebook! I love all the Moonstitch Grosgrain! Fabulous! I like the Wheels collection by Riley Blake! Loving the satin/grosgrain combo ribbon. My favorite ribbon is the double ruffle… That would look cute on just about anything! I think that Kaleidoscope Christmas is super cute!!!!! You could totally use that year round too!!! I'm a fan of Ribbon Retreat now! Thanks for sharing! oh, i love the TOD GROSGRAIN brown dotted ribbon! riley blake fabric black damask Beautiful! I LOOOOOOVE the moonstitch ribbon!!! As an apron maker, I love ribbons! I like the double ruffle ribbon, that would look great on an apron. I love that Moonstitch Ribbon! Some of each please! Nantucket is my favorite fabric being offered right now. I love the Pop Garden collection by Heather Bailey! I would love to make a purse out of that! I like the preppy stripe ribbon. I like the just dreamy fabric. I love the Spring Fling ribbon! Love the moonstitch ribbon. Breaks me out of my solid color shell… but not too much. Pink and white Lily fabric! SO cute!! I need that huge pack of 7/8inch grosgrain… it makes me happy… and would fab in my girls' hair. Love so many of the fabrics, but my fave is the Summersong Sweet Songbird fabric – so pretty! I love the biggie dots ribbon. So much fun! I'm always an Amy Butler fan and I love the Burgendy Momento fabric. I love them all. Do I get extra points if I grew up with the owner and know the family well? Lanae is great. oh my how can you pick just one ribbon, the robots, the flip flops, spring fling! Love, love LOVE California Dreamin! Love me some cute fabric! I really like the lollipop ribbon! The Frolic fabric by Sandy Gervais is sxactly what I need. LOVE IT!! So many favorites but at the moment I love the Pink Watermelon Mix!! I love the "preppy" stripes ribbon collection. Fabric: I love the Moda, Verna, Pink Damask. Love the flower power ribbon. Such a cute print! The peach sway in the Heather Bailey collection is so beautiful! I "like" The Ribbon Retreat" on FB. yay! I'm now a facebook fan too! Riley Blake Black Damask fabric is pretty! i can't stand how cute the dino dudes and the meadowsweet fabrics are from michael miller! Love the M2MG Ribbon Mix – Social Butterfly…..because I am! Well maybe not! I love "Frolic" by Sandy Gervais and "Tweet Tweet" by Keiki and Wonderland by Momo and …..
Love the mod print ribbon and the toille! Cute stuff! like the sugar tweedle dum fabric.! Great stuff! Can you believe I just finally became an "official" follower? Sorry it took me so long. I want either some polka dot or striped ribbon in 7/8 inch! I like the Gumball Ribbon in white. My favorite fabric is Green Peonies from the Pop Garden line by Heather Bailey. I've fallen in love with the ribbon collections they've put together and have a project that needs the Spring Fling combo. Thanks for the give-away. Okay, I just love the World Peace Mix!!! oh the del hi fabric is for me!! love the colors! I love Verna by Kate Spain! I'll take a few yards of the Earth Panache, please! Summer is meant for gingham ribbon! Red and white! So cheery and just right for the holidays we celebrate in the summer! Thanks for a great blog & giveaway!! Ok..I 'liked' on Facebook..teehee. Consider this one entry please. O.o thank you! I've been looking for a fabric to use on a file cabinet that I'm 'refurbishing'. I really like the Michael Miller "Large Whimsy by Pillow and Maxfield". I'm going to order the striped on and perhaps the flower too. Now to just get my motivator goin. I love the moonstitch ribbon – such a cute edge. WOW – I'm loving that Moonstitch ribbon! Never saw anything like that B4. I'm picturing using it on T-shirts for embellishment flowers or even around the neckline to make them more feminine and frilly. Neato. My favorite fabric is the Del Hi as I am crazy about orange and pink together. I really like the cute as a bug grouping. My fave ribbon was the dark orchid! Thanks for the great giveaway!! With 3 girls this would be great! Love the Hot Pink Jumbo rick rac ! It needs to live with me ! The Summersong Fabric is beautiful. I love anything pink !It would make a beautiful quilt. I love, love, love the apple berry mix ribbon! So cute!! I love the Tweet Tweet fabric! Ohhhh….the cherry circles fabric is adorable! I'm now a fan on FB!! I love the Preppy Dots. So cute. I love the moonstich ribbon, so cool. Mt favorite ribbon is the shocking pink with green and blue polka dots. It's such a cute color combination. I love Riley Blake, so I would have to say my favorite fabric is the Summer Song, pink songbird. My favorite fabric is the Just Dreamy line from Riley Blake. I specifically like the blue dots fabric. love the monkey see ribbon! My fave ribbon is the pink with white polka dots. My favorite fabric is the Rainy Days and Mondays collection. The Navy Geranium Surfboard ribbon is so cute; and very well sized,too! The Amy Butler Love line is so nice, but if they get the Riley Blake Andrea Victoria in like the site button shows, I may have to change my mind! Gotta love Meadowsweet! Love Sandi Henderson. Thanks for the chance! Hard to pick, but I really like the Preppy Stripes! Under the heading-Printed Ribbon…the musical notes ribbon would work on a music quilt I am currently making! I want every color of dotted ribbon! I love ANY Riley Blake fabric! Love the butterfly hearts print and the moonstitch ribon!! I like the April Klein "makin mischief" ribbon…who knew there was "ribbon" for boys? I don't have girls, so I never look at ribbon. What fun! I really like the California Dreamin fabric at Ribbon Retreat! It would be so easy to spend $50 there, wouldn't it? I also LIKE on facebook I'll link in my blogg. Have a great week. I love the High Style Argyle printed ribbon! I'm a big fan of the Orchard Spa Line of fabric by Michael Miller! Oh the dotted ribbons are my most favorite! Love the Ric Rac too! I am a sucker for all things cupcake, so of course my favorite ribbon has to be Sprinkle Cupcakes in Brown/Pink/Mint! My favorite fabrics are the Plain Jane Collections! Both the red and the fuchsia collections- fun fun! I like The Ribbon Retreat on Facebook. My favorite ribbon is the orange paisley printed ribbon. The Pink Breezy Verna fabric jumped out at me and begged me to take it home. I became a fb fan! I am a ribbon FREAK and am so excited to learn about this website. How could I choose just one favorite?! I love the double ruffle (lime juice), the cream & black toile, and anything grosgrain! I love the mini diva and pink rocker ribbon! Perfect for my rockin' diva! The moonstitch ribbon. Definately. I've never seen such before! Michael Miller's Multi silly stripes. I've ideas for this one already! Lovin the Tweet Tweet by Moda. I love the White-on-red polka dots!!! Love Michael Miller's Orchid Spa! I like the Fly Away Blues Ribbon and the Happy Flutterfly. I would love to get some of both of them. I like the Woodland Delight and the Plain Jane fabrics. I love the little grosgrain ribbon because I can not find it anywhere else. Perfect for hair bow projects. I am a facebook fan of Ribbon retreat! I "liked" the FB page. I love the Ribbon Mixes… their Lime Rickey and Strawberry Patch mixes are my faves! LOVING Michael Miller's Dino Dudes! I could craft a lot of exciting things for my boy with these!!! Also, Wheels, Sublime and Nantucket Summer in the Riley Blake Designs… SIGH! I love the velvet ribbons. Thanks so much for the fun giveaway! I love all of the MODA fabric choices! Thanks for the fun! it was so hard to pick my favorite! they have some great ribbons. i am going to go with two mixes as my faves, the Cowgirl one and the Giddy-up one! they are super cute! as for my favorite fabric, i am going to have to go with Orchid Spa by Michael Miller. although there are a lot of cute patterns and i can see lots of projects in the future! I absolutely love the California Dreamin' fabric! I'm all about the bright colors lately! My favorite ribbon is the Brown/Pink/Mint Fashion Dots. What a fun giveaway! Thanks for doing this! For the ribbons, I love the MOD print grosgrain in lavender. Thanks for the opportunity to win! I love Studio E, Urban Angel! I bought a jelly roll and am making my niece a quilt from it!! I am very drawn to the Frolic by Moda fabrics. I like the green diagonal stripe ribbon. Cute and simple. I like the Michael Miller Orchid fabrics, specifically the Lavender Round About. Love the Social Butterfly ribbon mix…have the Gymboree outfit to match! I like the polka dot ribbons. I can't pick just one fabric…I liked Kiwi by Timeless Treasures and Nantucket by Studio E. Of course, there were others I liked too! I like the moonstitch ribbon in pink and brown – would've gone GREAT with an outfit i made last week! I also like Michael Miller's Dino Dudes fabrics!! I became a fan and suggested youto a friend who has a hairbow business! I've had my eye on Summersong (Riley Blake) for a while now.. that'd have to be my favorite fabric choice. There's some other awesome ones, though! I'm not sure if this totally counts as a ribbon, but I'm totally into the jumbo ric rac. I particularly want it in purple and turquoise. I love Rainy Days since I live in Portland, OR — and that's all we seem to have the last 2 months! I love the Moonstitch Grosgrain Ribbon!! I'm loving Meadowsweet right now, and especially the Citrus Splashy Rose print. Lovin' the houndstooth ribbon and all three featured on the "Gingham/Checks" page. So classy! The dark orchid grosgrain is lovely. Timeless Treasures Kiwi looks amazing. Must. Have. It. I really love the Riley Blake wheels. Super cute! Kiwi fabric among many others! I love the new Moonstitch ribbon they have! It's great! I love, love, love the Andrea Victoria line by Riley Blake Designs. I like the pink saddle stitched ribbon. I love the Michael Miller Plain Jane line – so cute! I love the ribbon with the frogs on it. I actually love it so much I might wear it myself. I love the river happy stripe fabric. I could find something to make with that. I like the printed ribbon selection, most of it! I especially love the toile, the houndstooth, the musical notes and of course the cupcakes! I love moda fabric, Tweet Tweet! SO cute! Wow, I want some of each but I really like the yellow moonstitch ribbon. Who knew someone made ribbon like this! My favorite ribbon is the Moonstitch Grosgrain Ribbon! My favorite fabric is Fruitcake by Basic Grey! Time to get sewing for Christmas. I "like" Ribbon Retreat on Facebook!! The paisley ribbons are my favorite! Ruby Tapestry is my favorite fabric!…and what a pretty name too! Love the mini ruffle ribbon! Sugar Tweedle Dum is so cute…cute name too! I love the timeless treasure line in Kiwi! Must have that argyle ribbon!!! You're kidding right? Out of like 5 million ribbon choices, you want me to choose just ONE favorite? Ok, I like the watermelon ribbon mix. Because it's cute and I'm hungry. Love the Michel Miller Plain Jane fabric! I like the headband collection ribbon! I would love some new Fruitcake fabric for some Christmas stuff! I like ribbon retreat on facebook! i love the spring fling set of ribbons! riley blakes purple and black fabric is my fav! I would love a supply of the printed dotted ribbon. I love the preppy ribbon! I really love riley blake's rainy days and mondays fabric. So very cute! Thanks for the giveaway! The Wheels fabric is great. 7/8" polka dots are my favorite!! I think we need some project examples–ribbons are so sweet but I don't know too many things to do with them! The california dreamin' line is a winner with me! love the citrus-y flavors! I "liked" the ribbon retreat on FB. that is like, totally, such a verb. I love the polka dots ribbon..yes, all of it. And the Bloom and Grown Fabric is to die for!! I would love to have some of the jumbo pink ric rac in the ribbon section. It would be sooo cute in a baby quilt. I LOVE the new Fruitcake fabrics. i love the moon stitch convenience packs. I love the Plain Jane fabric and the Orchid Spa from Michael Miller. They would make really cute skirts! I'm now "liking" the ribbon retreat on facebook! I'm loving the "Feeling Groovy fabric from Windham. Oooooooh do I love ribbon!! I love: Mother's Day Mix and Bubblgum Daisies mix. I am now "LIKING" on Facebook. I love the Robots printed ribbon. Not sure what I would use it for but it is ADORABLE! love the apple of my eye ribbon combo. great stuff! love heather bailey green peonies. high on all time fav list!! I love just about all the fabrics-BUT California Dreamin by Free spirit- Really Love it!! I love ribbon-love the polka dot!! So glad to learn about this site!! I love the Moonstitch ribbon, and the free tutorials on how to make some of the clips etc. Very nice site. I have added it to my favorites. Plain Jane fabrics by Michaels Miller and The Chocolate one by Timeless Treasures, very cutes fabrics. I would probably go with the polka dot convenience pack. I would also pick the California Dreamin fabric. So cute! i love the pink and black mix. I would get BROWN JUMBO RIC RAC!!! My favorite ribbon is the moonstitch ribbon! I 'like' Ribbon Retreat on facebook. Love the pink ribbon with the black polka dots- We just got some from the Ribbon Retreat for my sister's wedding centerpieces! I live fairly close to the ribbon retreat and I had no idea that they had fabric- I am so excited- My favorite print would have to be the dogs and paws. So cute! I need to get that and their little guy's ties pattern to make a tie for my 2 year old! I think I need the Convenience Packs, great value. I LOVE the Ribbon Retreat!!! Too bad I didn't see this post til now! I just put in a huge order yesterday!!! So my favorite ribbon over there is ANYTHING polka dots!! I am obsessed! I think the fabric that jumped out at me was the DINO DUDE! So cute for little boys! Call me crazy, but I like the Robots ribbon! I love love love the dino dudes fabric collection! Love the fruit ribbon that has the little cherries on it. So simple and cute! As for the fabric I like DC4094-Teal Large Whimsy Doozie. That blue is so pretty! My favorite ribbon is the pastel stars. my favorite fabric is the Big Groovy Floral print. I love the printed ribbons…my favorites are probably the paisley ones! My favorite fabric is the "Pink Breezy" in the Verna by Kate Spain line. Gorgeous! I liked the Ribbon Retreat on FB! I love all of their striped ribbons! I would love to win! Okay, I have NEVER seen ribbon like this! The double ruffle(in hot pink of course!) is so figgin' cute! Even if I don't win, I'll probably end up buying it anyway! Now for the fabric…oh happy day! I cannot help but oohh and ahhh over the Brown Dino Dudes by Michal Miller! Cool designs for boys is a tough thing to come by! Everything in the Dino Dudes collection is absolutely adorable! I clicked the "like" button on FB!! Yea! I enjoyed the April klein Ribbon Collection especially the Little Stinker and Making Mischief ribbons. Teh fabric I liked the best is the entire Riley Blake Design Collection but especially the I wanna be a cowboy set. So stinkin cute. the Summersong fabric and the Andrea Victoria fabric by Riley Blake are my favorites. As for ribbon, I really like the pirate princess and the purple picnic mix packs. i love the spring fling mix! So cute! Riley Blake bloom and grow fabrics are awesome! I "like" the ribbon retreat on FB. Little Stinker ribbon, yes please. I do like that tweet tweet fabric. I may need a new skirt out of that! And now I am a fan! I love all the dotted ribbon. And the m2mg stuff. LOVING "Just dreamy" and "Mindsong" fabric! I love the prints on all the ribbon.. but my favorite would be the blue/green champagne dots! Love the daisy chain palette. My favorite is the forest deco rose. love the moonstitch ribbon too!! i bought a bow recently because of that ribbon – and i make bows!! I have to admit…..if I win I am giving the gift certificate to my friend, Randi! Love the Love from Amy Butler! Thanks! Like The Ribbon Retreat on Facebook! Thanks! I love the Biggie dots… my favorite is the Apple/Emerald. I love the Amy Butler Daisy Chain line of fabric. Oooh la la – the Turquoise w/ Pink stitching Moonstitch Grossgrain Ribbon is very unusual and pretty awesome! i LOVE their double ruffle ribbon! so cute!! You can never go wrong with a Michael Miller fabric! I am especially loving the Brown Large Whimsy Doozie Pattern! the pop garden by heather bailey- too hard to pick just one of 'em! The printed convenience packs are great! I like to have a variety! Became a fan of RR! As a confessed fabric addict, I couldn't pick one fabric line. I really like Orchid Spa, Tweet Tweet, and Large Whimsy. Thanks for the chance to win! I order from RR all the time w/ my hair bow business and now I'm loving their fabric!!! My favorite thing to order is their ribbon mixes! Last year I ordered the watermelon and it made the best bows! I've fallen in love w/ all of their Riley Blake fabric! 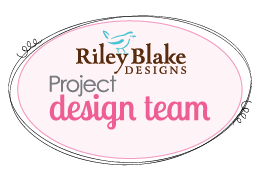 I love the Riley Blake fabrics, especially the Just Dreamy line! Love the freebird twill fabric. So cute. I really like the high style argyle ribbon. The print ribbons are all so fun. I really like the cars and trains. The Freebird Twill has such great colors. Hands down the flip flop ribbon for me – I wear flippy floppys year round! And I've never seen this site before – thanks for sharing! Oh my word – she has Michael Miller fabric!!!! I *adore* that fabric line!!! Love the double faced satin in Shocking Pink! The free spirit fabric is great. The green peonies. I love any & all grosgrain ribbons, but especially the rose circle mania 1.5 inch ribbon. It would be perfect for a diaper cake I need to make for my bff's baby shower! I might just need to get me some of that. . .
Hmm, let's see. I think my favorite fabric they carry is Yellow Paisley from Heather Bailey's Pop Garden. I became a facebook fan of Ribbon Retreat, too! I love, love, love the dainty stitch line! The hot pink one especially melts me! I really love the entire Flutter Pink line but anyone if I had to pink one I would pick the Pink Tulip!!! LOVE it!!! The Riley Blake Designs fabric is all great and I love the Boo to You! cuz I'm a Halloween fanatic. And now I'm a fan on Facebook too. I really like the moonstitch ribbon. I, like so many others before me, LOVE the Moonstitch grosgrain…..in every color! I really like the Dino dudes fabric. I really like the colors. For the fabric, I absolutely LOVE Michael Miller's Woodland Delight! I "like" The Ribbon Retreat on Facebook! I love the Michael Miller Dino Dudes fabric! Cute! Love the Rockin Guitars ribbon! I like the black and white toile ribbon. My favorite fabric is Moma's Freebird or Wonderland. I love the Dubble Ruffle ribbon! My favorite ribbon is the turquoise and pink moonstitch grosgrain ribbon. It is so different and gorgeous! My favorite fabric is the entire line of Amy Butler's Daisy Chain! I like the "cars" ribbon. I love so many of the fabric choices but if I had to pick my favorite it would be the Michael Miller's Dino Dudes for my son's new nap mat. i love everything about TRR!!! i "like" TRR on FB!!! I like th modprint ribbon! It's so cute! …and the 'just dreamy' fabric is adorable! So many cute prints! I love the Moonstitch Grosgrain Ribbon. What a fun site…but trouble to say the least knowing what they have! Love the Westminster line of fabrics. What pretty colors/patterns!